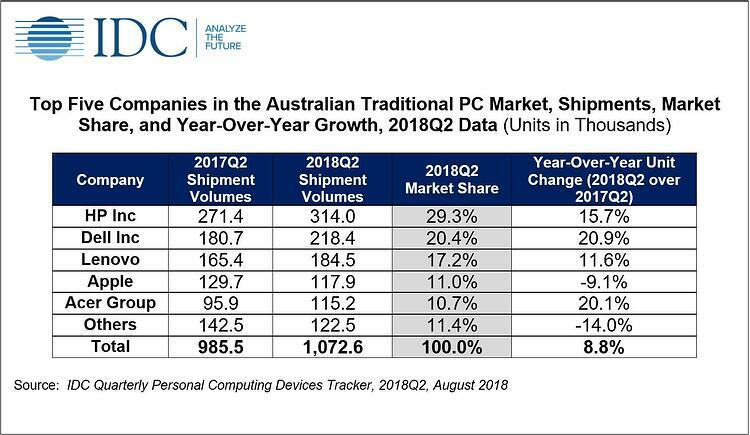 The Aussie PC market – notebooks, hybrids, tablets and desktops – is up 8.8% year-on-year in Q2, 2018, according to the Worldwide Quarterly Personal Computing Device Tracker report by IDC. Globally there was year-on-year growth of 2.7%. This marks the strongest year-on-year growth rate in more than six years, when the first quarter of 2012 posted growth of 4.2%. Australian growth was substantially driven by the commercial market, which has grown 16.1% YoY, while the consumer segment experienced minor decline at -0.4% YoY. Notebook shipments grew 12.5% YoY, due to the continuing growth in ultra-slim notebooks and convertible notebooks, while traditional notebooks declined. 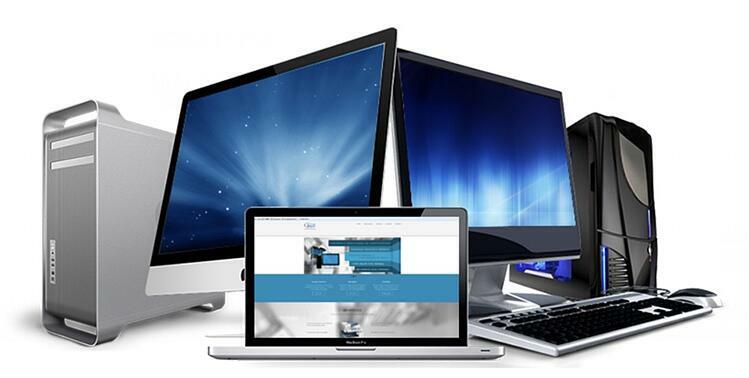 The desktop product category rose slightly by 1.3% YoY driven by the commercial segment. “Robust growth of ultra-slim and convertible notebooks shows that Australian consumers and businesses are willing to pay a premium for the latest thin and light notebooks, ” said Sean Ashari, Market Analyst for Client Devices Research at IDC Australia. The Australian growth year-on-year has outstripped global growth by 6% but IDC's Sean Ashari believes this is due to particular local conditions which will not be reflected in the second half of the year. The second quarter of 2018 benefited from high consumer sentiment and high GDP growth. However, the 2nd half of 2018 is seeing continued local political instability, rising local loan increase rates, a drop in the Australian dollar vs US dollar, and a projection of further USA-China tariffs negatively affecting the Australian economy. The result is lower consumer and business confidence. It will be very likely that the 2nd half of 2018 will underperform in traditional PC shipments compared to the 1st half of 2018. HP maintained its market lead, with eight consecutive quarters of YoY growth, resulting in a 15.7% YoY growth in 2018Q2. HP grew in the retail space while launching new products including premium convertible notebooks. Dell posted the largest growth in the top five vendors with a 20.9% YoY increase in Q2,18. This has been driven by significant growth in small and medium business (SMB) and small government contracts as procurement managers use the last of their budget. Lenovo leapfrogged Apple to 3rd thanks to its 11.6% YoY growth driven by success in a large government contract as well as growth in the very large business segment. Acer has also had a resurgence with its Predator gaming notebooks and lower cost Windows notebooks that are very popular in the BYO education market. Apple was the surprise loser with a decrease in YoY of -9.1%. It has 10.7% of the market with Mac and MacBooks which is in line with the global market share of 9.17% as against Windows at 88.18%. However the new 2018 MacBooks came out in July and a significant portion of users were waiting for the new MacBooks so demand may jump in Q3/4. Despite rising consumer confidence levels, resulting from Federal Government income tax cuts, the traditional PC consumer segment continues to fall 0.4% YoY for the quarter. There are many factors contributing to this including the trend of longer life span for traditional PCs and the trend of web use continuing to shift towards smartphones. Branded gaming notebooks experienced a 12.8% YoY growth in shipments for Q2 while branded gaming desktops declined 24.2% YoY. The decline in the share of these gaming desktops was partially due to impending new releases of gaming graphics cards, resulting in consumers delaying purchases of these devices until later in the year. Branded gaming is where Australian consumers are willing to invest to upgrade their hardware.